We have been having a lovely December here in the Chicago area, probably the warmest on record. No snow, mild days in the 50s, and barely any frosty evenings. I don’t mind as I prefer summer and warmth. Unfortunately for me, we had a one-day cold spell on Saturday, the day of the Christmas Bird Count, with high temps below freezing. I participate in the count every year with my bird club, and about 20 of us braved the chilly winds and tried to find birds, most of which were smart enough to stay hidden. 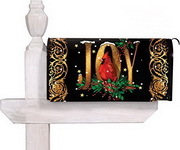 I am still not ready for Christmas, but that’s not unusual and seems to happen every year. I just don’t know where the time goes. I still have some shopping to do and cookies to bake. And then I can enjoy the Holidays. The Good Liar by Nicholas Searle from Harper. This is a life told back to front. This is a man who has lied all his life. Roy is a conman living in a small English town, about to pull off his final con. He is going to meet and woo a beautiful woman and slip away with her life savings. But who is the man behind the con? I’ll See You in Paris by Michelle Gable from Thomas Dunne Books. Bad luck on the timing of the cold snap. I’m baking cookies today and hopefully listening to an audiobook. The Good Liar sounds interesting. We’ve had very mild weather too – too bad the cold weather timed things the way it did for you. Both of your books look good to me. I’m sorry the one day for bird counting turned out so cold! It looks like you had a great mailbox this week. Enjoy the holidays! We have been having unseasonably warm weather here too in Montreal Canada. And no snow either. Weird! I’ll See You in Paris is my kind of book. Hope you love it! 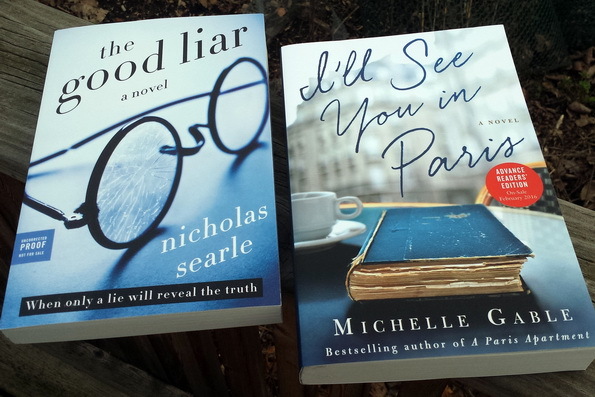 Both of your new books look very tempting…I’ve been seeing The Good Liar around, and who wouldn’t want to go to Paris, even if it’s in a book? I’ve been hearing other bloggers saying their weather is warmer than usual. Hope you don’t get horribly freezing temps to make up for it afterwards! The Good Liar has been in a few mailboxes. I have I’ll See You in Paris…I hope it is as good as her other book. I am sure it will be. ENJOY your week, and Merry Christmas. It’s been over-all really warm here too – supposed to be upper 60s on Christmas Eve. I’m loving it. I’m not ready for Christmas either. The Good Liar sounds really good, enjoy! your new books and have a great holiday. Enjoy your new books, Leslie. I’m glad you’ve had mild weather for the most part, and I hope that continues. I’m not ready for Christmas yet, and will have an extra busy week! I’ll See You in Paris by Michelle Gable sounds like a good read. It’ll be on my list. Happy holidays. I’m loving this warm Christmas weather!